Not a very creative title. I know. Sorry, guys. Haha! 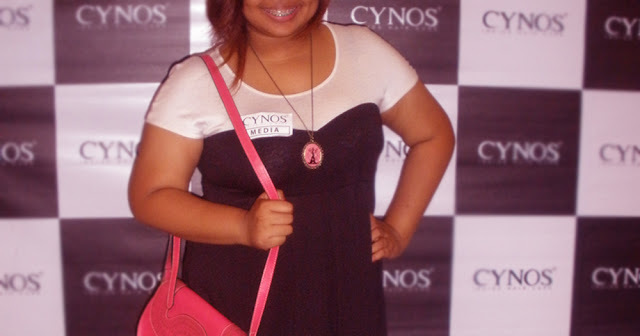 Two weeks ago, I think, I attended the Cynos Hair Fashion Show with a new beauty blogger friend, Chriselle of Cosmetic Fixation. The invitation just found its way to my email and at first, I dunno who would go; but after posting in Facebook about the event and asking who would be going, I'm glad someone responded. Chrissy is going and I haven't met her yet in person that's why I'm quite excited to finally meet the blogger behind the awesome Cosmetic Fixation blog plus, a new blogger friend. Yey! For this outfit, I wore a Black and White dress from Kimono, black pumps, a pink eiffel tower necklace I bought from Cebu, and my pink satchel bag from Hyphen Curiosities. I actually forgot where I bought the dress, the place I mean. But the tag says its brand is Kimono and it's a proud Filipino craftsmanship outfit. You see, Filipino made clothes are just something we can all be proud of. The reason why I wore a black and white outfit is it's the event's theme color and I want something different to add on it; hence the pink touches on my bag and accessories. I met up with Chrissy at around 6:00 PM at the LRT Station in Quirino and we changed in our dresses at my dad's sort-of-like-an apartment place because it would be kind of awkward to commute wearing a dress, right? Chrissy was such a fun companion. 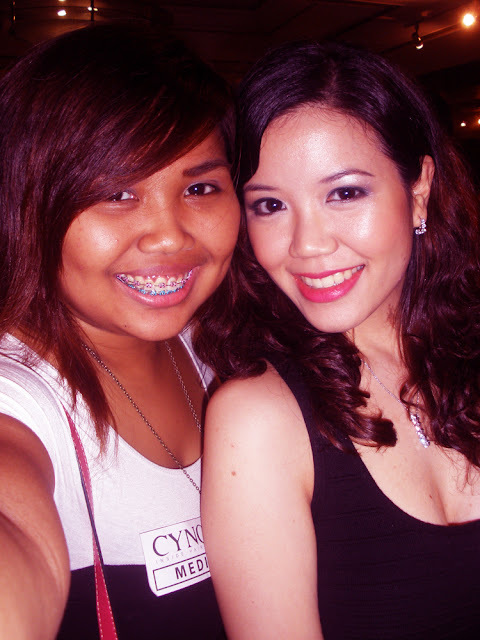 Yes, it's the first time we've met but I instantly got comfortable with her because we're both just so madaldal. Haha! I'm glad I found a new friend through blogging. I was also able to ask her some tips and questions about makeup because you see, Chrissy here is a certified makeup artist with airbrush makeup skills pa ah! Awesome, right? So if you want to go hire her, go visit her blog! 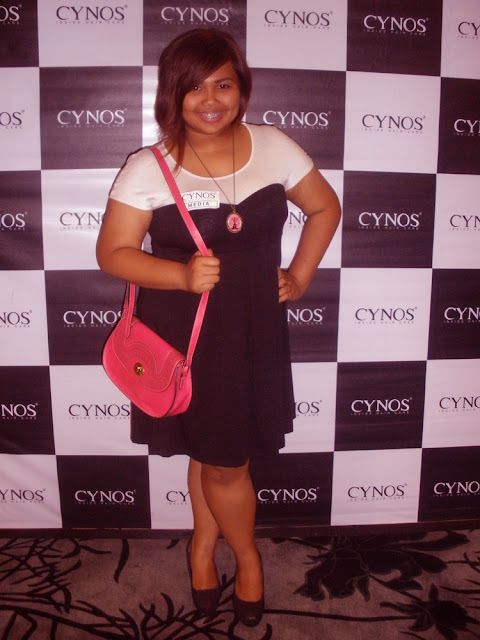 Interested to know what Cynos is? Well, I'd be doing a separate blog post about the event son and also a review of some of its products; but basically, they are all about hair care so I'm pretty excited with their product line up because you know how experimental I am with my hair, right? you can see Kimono products inside Karimadon stores :) I saw one at their Glorietta branch. You look great gellie!